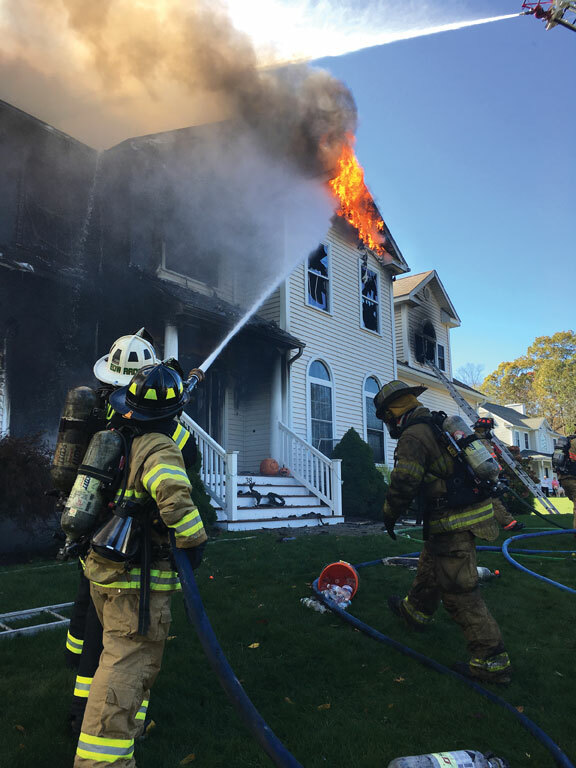 BEACON FALLS — A fire at a home in Westwinds Estates on Tuesday afternoon displaced a family of four. Beacon Hose Company No. 1 Fire Chief Brian DeGeorge said the fire at 38 Kaleas Way started shortly after 12 p.m. When he arrived on the scene, DeGeorge said, the fire was primarily at the back of the house. However, he said, it spread quickly through the house due to the wind. DeGeorge said it took about 45 minutes for firefighters to put the fire out. “We made an interior attack, which knocked most of it down, but it got into the attic and then we had to come out,” DeGeorge said. Naugatuck, Oxford and Seymour provided mutual aid on scene. 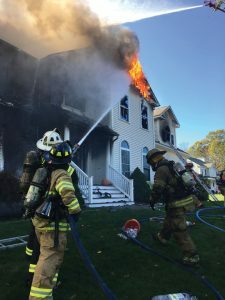 The 3,000-square-feet, three-bedroom home is owned by the Denovellis family, which includes two adults and two school-aged children, according to neighbor Dino Verrelli. DeGeorge said the family was home when the fire started but escaped with no injuries. He said some of the family’s cats may have been lost in the fire. One firefighter was transported to St. Mary’s Hospital for precautionary measures but is OK, Beacon Hose posted on its Facebook page. The American Red Cross responded to the scene to assist the family, the organization stated in a press release. Verrelli started a fundraiser online to help the family recover at www.gofundme.com/denovellis-family-relief-fund. DeGeorge said the fire caused “extensive” damage and the home is uninhabitable. The state fire marshal is investigating the cause of the fire, DeGeorge said. Correction: The original post reported the fire started after 2 p.m.